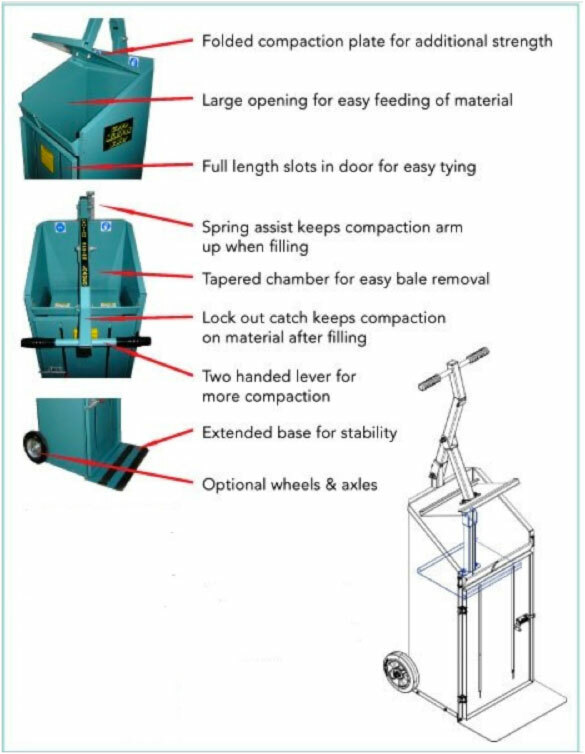 The Mini Pak is a small hand operated baler for baling plastic, cardboard, paper, shredded paper, etc. 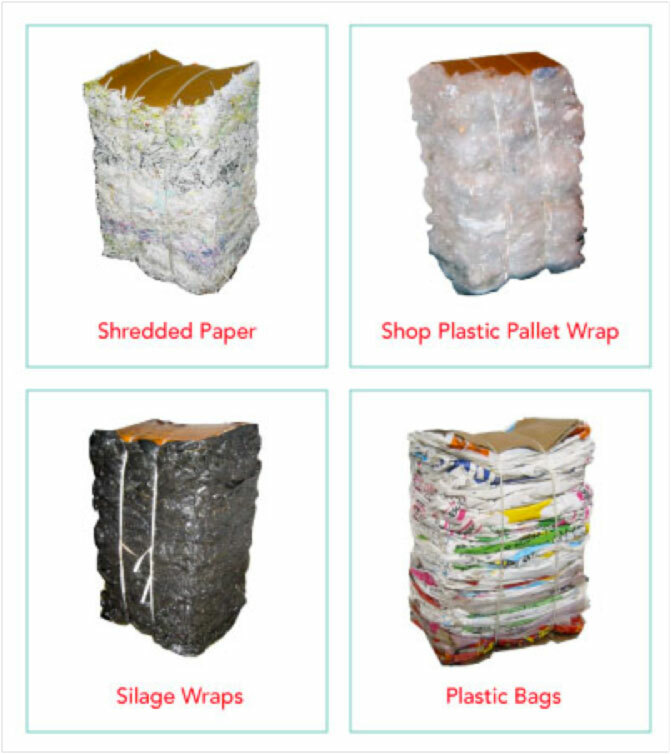 With a footprint of only 23” x 28” this machine produces bales of up to 20 Kg of stretch wrap, cardboard & up to 35 kg of heavier plastic wraps.The Unit is suitable for Warehouses, Distributors, Restaurants, Hotels, Schools, Offices, Farms, Factories and more. Needing no power source the machine can be used anywhere & is ideal where space is limited or ceiling height is low.